Collected as larva on given date. Photographed as pupa April 10 about 7 AM. Photographed as imago April 10 about 11 PM. I seldom find beetle larvae in logs that are heavily covered with ruffle-like tree fungi, but that's where I found this longhorn as a larva. I left it in the chunk of wood till April 10, by which time of course it had pupated. Hence there is no larva photo. As you can see, there was just barely a pupa photo. The pupa has colored up nicely at this stage, an indication it was almost ready to expupate. Great job! This is an amazing series of photos. 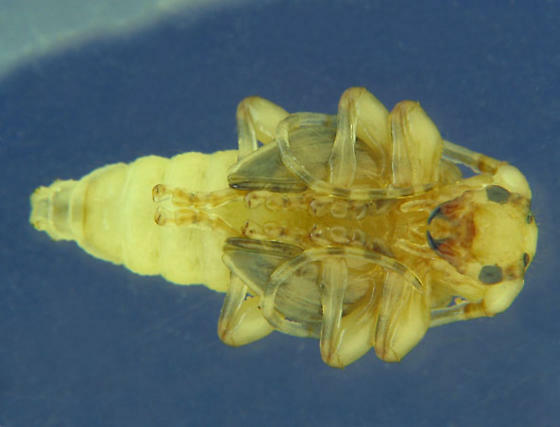 Could this be a male of the same genus (Urographis) that you collected last year at this time? This does not appear to be the same species on several counts. The elytral apex, while similar, has different angles to it, the markings are not in agreement, and while last year's Uro*graphis seemed to be strictly underbark feeders, this larva was an inch or so below the surface. I must say that nothing reaches out and grabs me in thumbing through the plates in Yanega's Field Guide to Northeastern Longhorned Beetles, but U. fasci*atus is a possibility. Frank Guarnieri has suggested Aego*morphus mod*estus, which also looks like a posibility. Both spp. are in the right size range.